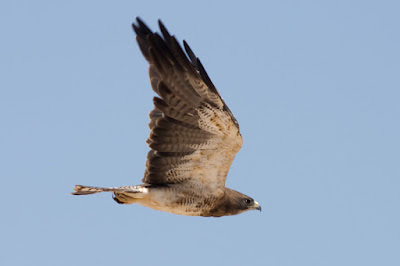 The Swainson’s Hawk initially suffered from a case of mistaken identity, when a specimen collected in Canada in 1827 and illustrated by William Swainson was confused with the common buzzard (Buteo buteo) of Europe. 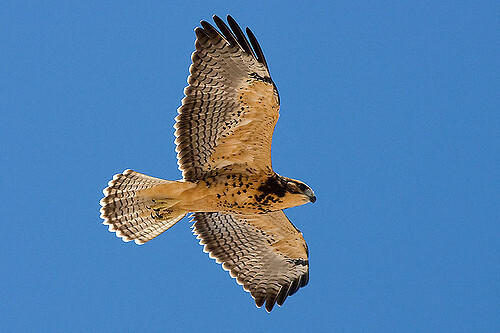 A nephew of Emperor Napoleon eventually corrected the error: in 1832, while working in Philadelphia, French biologist Charles Lucien Bonaparte identified the hawk as a new species and named it after the original illustrator—although he based his own description on a drawing by John James Audubon. A classic species of the open country of the Great Plains and the West, Swainson’s Hawks soar on narrow wings or perch on fence posts and irrigation spouts. 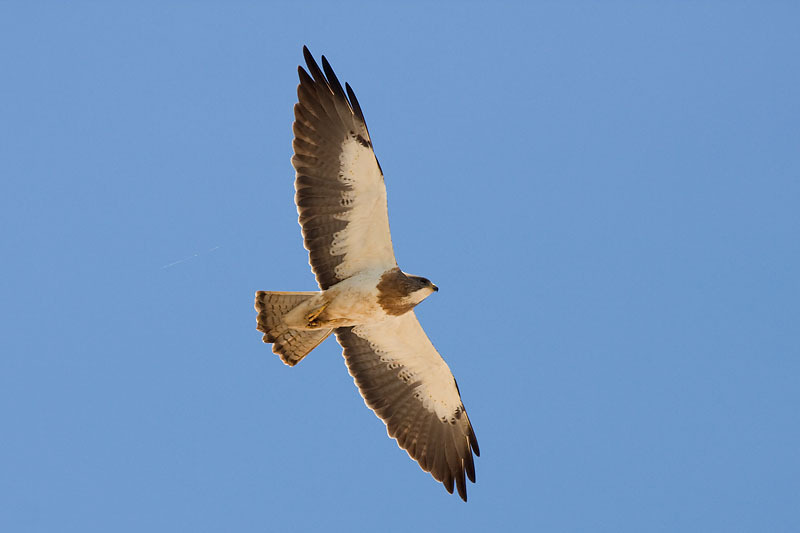 These elegant gray, white, and brown hawks hunt rodents in flight, wings held in a shallow V, or even run after insects on the ground. 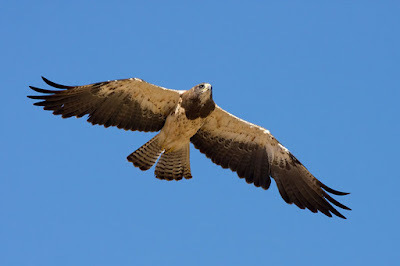 In fall, they take off for Argentine wintering grounds—one of the longest migrations of any American raptor—forming flocks of hundreds or thousands as they travel.